← More flats to be built in Chippy’s Baptist Church? Tomorrow is election day – and if you need reminding of who your town, district and Euro candidates are, here are links to the posts we’ve done on them. Town council candidates can be found here. District council candidates can be found here. Euro election candidates can be found here. Voting will take place at the town hall between 7am and 10pm. 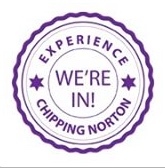 This entry was posted in local people, news and tagged Chipping Norton Town Council, elections, European elections, polling, polls, West Oxfordshire District Council, WODC. Bookmark the permalink.